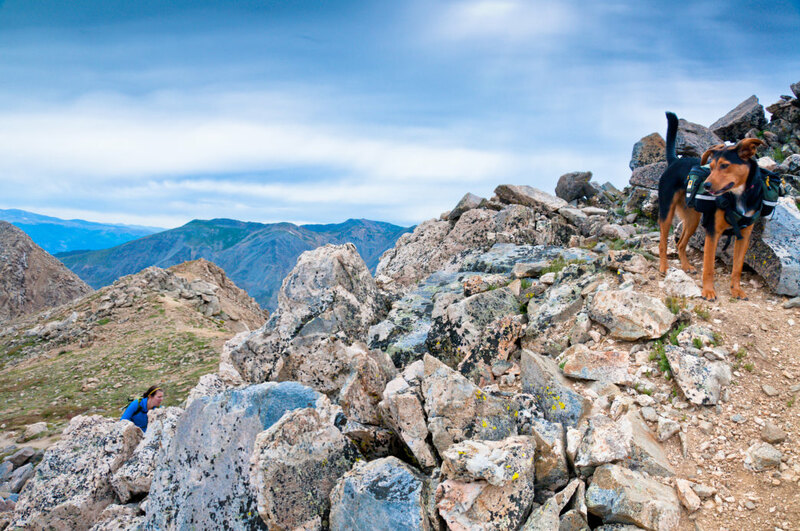 What could be better than a weekend spent backpacking down your favorite trail? The only thing we can think of is a wilderness trip with your most loyal companion—your dog. Like any expedition, a backpacking outing with a pooch in tow requires some planning and research. With some extra steps and considerations, though, a few days on the trail with your pup can be a rewarding experience. Get ready for your first doggie backpacking trip with these nine tips. Nobody knows your pup better than you. Consider your dog’s temperament as you select your route. 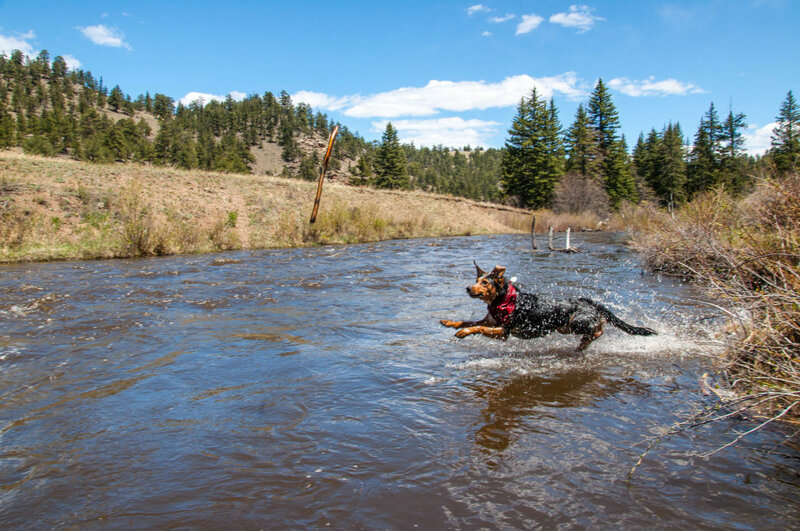 Will your dog willingly cross a stream? What about scrambling over rocks? Are they likely to chase wildlife? Are there any plants or animals in the area that might hurt them? You’ll need to keep your pup’s personality in mind as you’re choosing a campsite, too. For example, if your dog tends to bark at strangers, you’ll want to give other campers an extra-wide berth. For your dog’s first backcountry outing, you’ll want to make some special route considerations. If you aren’t sure if your dog is up for a long distance, pick an out-and-back trail rather than a loop so you’ll have some bailout options. Study the topo map to make sure you won’t encounter cliffs or lots of scree. It’s also much easier to have your dog drink from streams than to carry enough water for them, too, so look for a route or destination with a reliable water source (ideally something fast-moving vs. a standing pond or lake where giardia could be lurking). Whether or not there are leash regulations in effect at your intended destination, you’ll need to consider whether your pup is a good candidate to be off-leash. Off-leash dogs should always be under voice control, which not only means that they won’t harass wildlife, but also that they won’t approach other hikers or dogs if you call them back. Even if you trust your dog, consider leashing them in more crowded areas of your hike, like near trailheads and campgrounds, since not everyone (and not every other dog) is a dog lover. Just as you enjoy backpacking more when you’ve been training to hike with a pack, your pooch isn’t going to be ready for a strenuous 20-mile loop right off the couch. Make your outing more fun for your dog (and yourself) by doing some conditioning beforehand, hiking longer distances and for a few days in a row before the real thing. This will also give you a chance to check your systems ahead of time and see how your dog might react to various things you’ll encounter on the trail. Whether your dog can carry their own supplies depends a lot on their size and conditioning. A relatively young, healthy, medium-sized dog might be perfectly capable of carrying some extra weight, while a smaller, older, or less fit dog might have a much tougher time. If you want your pup carry their own food, invest in a high-quality backpack and make sure it fits them properly—snug enough so that it doesn’t move around and rub, but not so tight as to constrict movement. Ten percent of your dog’s body weight is a good rule of thumb for how heavy the pack should be. Generally speaking, your dog’s usual kibble is probably sufficient to feed them in the backcountry. Consider adding a little extra to each meal if you’ll be traveling farther than your dog’s typical output or if it’s going to be cold. Your dog may also need on-trail nutrition, so experiment with high-calorie treats if you’ll be covering lots of miles. Just like humans, dogs need to stay hydrated on the trail. Bring along a collapsible bowl, which can double for food and water. You’ll need to keep your dog’s safety in mind before, during, and after your trip. 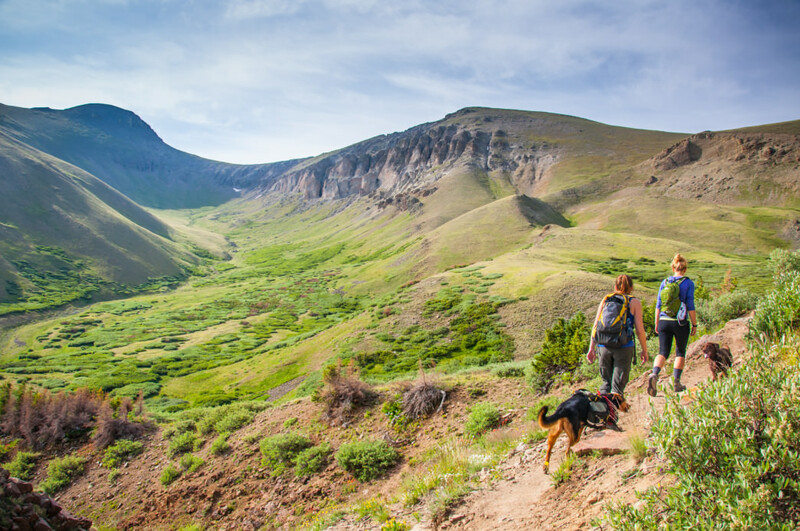 Before you hit the trail, ensure that their vaccinations are up-to-date, as the critters they may encounter in the wild are liable to carry diseases that could make your dog sick. While you’re hiking, check your dog’s paws regularly to make sure they’re not raw or cracked - some dogs are more sensitive to rocky trails than others. Carry enough supplies in your regular first-aid kit to tend to your pooch, too. If you’re headed somewhere where tick-borne illnesses are an issue, you’ll want to do a tick check on your dog as soon as you get home. 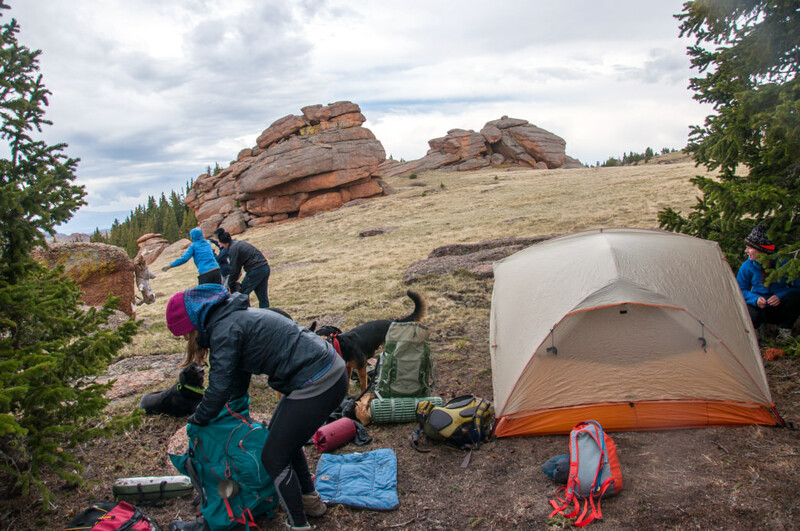 When you arrive at your campsite at the end of a long day, you’ve still only done a day hike—it’s not backpacking until you and your pooch have spent the night out. The best, most dog-friendly sleeping arrangement might be a bit different from what you normally use. For example, sharp doggie nails don’t tend to mix well with blow-up sleeping pads, which are easily punctured. If you have a large dog, you may need to carry a bigger tent. Some hikers prefer to carry a small, camping-specific dog bed, some of which stuff down into fairly light stuff sacks. This may seem like a lot to think about, but after a couple trips, you (and your dog) will be pros and have the time of your lives out there! Sometimes we need to go deeper into the woods—farther off the proverbial beaten path. The only way to accommodate this is to plan for an overnight backpacking adventure.